Policemen, firemen, city employees! This is as close to the county as you're going to get and still be in the city. The city/county line is in the center of Weber Road. Exceptionally nice and clean 2br home with full walk-out lower level, family/rec room in lower level. 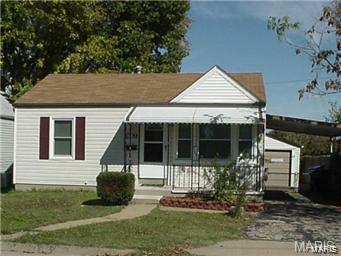 Nice level, fenced yard with a 1 car detached garage. Refinished hardwood floors in great shape. Newer updated, large-capacity circuit breaker electric panel. Maintenance-reduced vinyl siding and fascias. Newer Vinyl Windows, Great home...Great affordable price!